M14/RM N.C. - M16/RMO N.C. 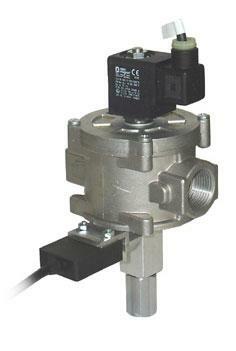 This solenoid valve is made to guarantee the gas interception either for gas detector signals (methane, lpg, carbon monoxide and so on) and safety thermostats, or for an electric black out. 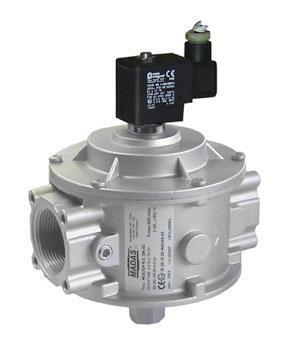 In order to be more reliable this solenoid valve can be reset only when electrically supplied and only if the gas detector doesn’t send any danger signal. 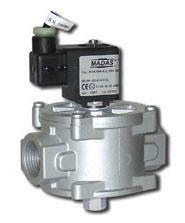 This valve using a particular electric coil, so it can be installed in highly potentially explosive areas. 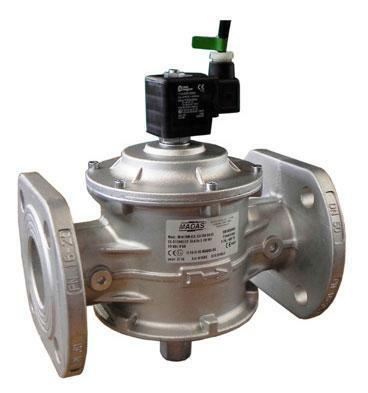 Simply powering the coil does not open the valve. The reset mechanism has to be operated by hand (see MANUAL RESET).